On Day 1 we will explore the fundamentals of the Ashtanga Yoga Primary Series. The Primary Series is the first series we learn in the Ashtanga Yoga system, anyone new to Ashtanga Yoga begins here. We will approach the practice with the intention to start attending the early morning Mysore program. Discover ways to memorize the sequence, which is necessary if we are interested in practicing using the traditional Mysore method. Once you have completed Day 1 and Day 2 of this weekend, you will have the basic foundations needed to join in the early morning practice group which meets Monday, Wednesday, Friday anytime between 6:30-8:30am* (*you may arrive any time and are required to finish your practice by 8:30am). the foundations for this practice Surya Namaskar A and B, the standing sequence and the closing sequence. ways to learn and memorize the sequence. Those attending Day 1 are welcome to attend the Sunday Led Primary Series class on 9/9 at no extra charge to participate or to just observe. On Day 2 we will dive deep in to the theory and practice of Mysore Style Ashtanga Yoga. Anyone who has been practicing Ashtanga Yoga or those who have attended Day 1 of the Mysore Style Ashtanga Exploration Weekend will benefit from this workshop. We will explore the principles that support this method of yoga practice in detail giving those who attend many tools to take with them into the Mysore room and can then apply in an individual way to their personal practice. This 3 hour workshop is packed full of information, bring a notebook and pen! You will have the opportunity to ask questions about the practice in general as well as personal questions related to your own practice. Ashtanga Yoga follows the `Tristana` approach to yoga practice ~ Breath, Bandha/Posture, Drishti. We will learn the details of this method and find out why and how it leads to a state of dharana (concentration), dhyana (meditation) and ultimately samadhi (liberation/enlightenment). We will practice this method using various postures from the Ashtanga Primary Series in order to experience the breath, the bandhas and the drishti as it happens in your own practice. When you attend a Mysore Style class you will primarily receive hands on adjustments with minimal verbal cues. We will learn about this approach, how to assess if a physical adjustment is safe for your body and how receive adjustments in a way that will ultimately benefit your practice. Originally from Edinburgh, Scotland, Susan settled in the Hudson Valley in 2016. Susan has been teaching Ashtanga Vinyasa, Vinyasa Flow, Restorative, Yin Yoga and Meditation for over a decade, with her original training at The Life Centre in London, UK, in 2007. 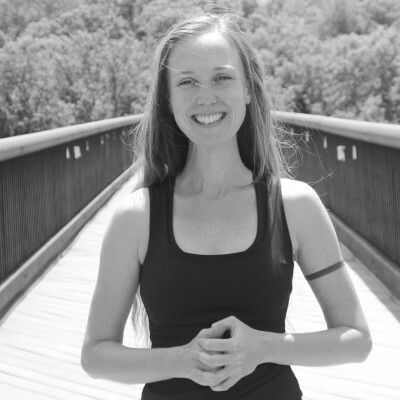 Back in Edinburgh she helped establish the now thriving Mysore program at Meadowlark Yoga. In 2011, Susan’s teaching schedule began to spread overseas and she found herself working seasonally at a retreat center in Costa Rica. During those years she would return to Edinburgh in the spring to teach and/or assist the Edinburgh Mysore program. This program is still running under the care of Sarah Hatcher who is now the morning Mysore program director there. Susan returns to study with Sarah, her Ashtanga teacher, at least one time per year. Susan is also a trained massage therapist and offers deeply healing yoga & sound meditation with her partner, Shawn DeRyder.